So that's it. Work- done. Telly- on. Bring on 9 months of sitting round in my pyjamas, watching reruns of Poirot. I even started to dream about who I might develop a daytime crush on this time. 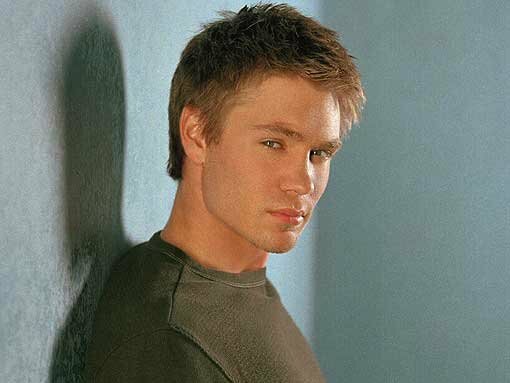 When pregnant with Nancy, it was Luke from One Tree Hill. I'm now ready for another mildly irritating, unobtainably attractive 20 something to entertain my hormone-addled brain on a daily basis on some weird digital plus one station. As I was alphabeticalizing our DVD collection for viewing ease, it dawned on me. I will also me looking after Nancy. Those days drifting into nights, punctuated by breastfeeding and eating entire packets of chocolate fingers are a first child luxury. Nancy isn't going to stop wanting to be fed, clothed or bathed, just because I've had another baby. In fact, I can imagine that everything taking at least twice as long as normal to do, is going to be a cause of great friction. The tantrums have already cranked up a notch in the last few weeks since I haven't been able to lift Nancy up or give her a piggy back. Then suddenly that is you. You're in the library with a small person lying down in the audio books aisle, beating tiny fists on the floor and screaming themselves purple and you're faced with the, 'shall I leave her there for a bit and pretend she's not mine or attempt to pick her up like a rugby ball' conundrum. So. I've got to reassess my TV viewing/ lying in a bath until I look like I've been pickled/ relaxing time. Because I've already earmarked several boxsets and recorded a load of stuff off the telly. The baby's due in 4 weeks. Nancy is still with the child minder 3 days a week. Now, I'm no Carol Vorderman, but if I approach this with the commitment and hours of normal job, so 9-5 with a lunch break of about 30 minutes, I work that out as approximately 22.5 hours a week for the next four weeks. Surely that's more than enough time to watch the last 2 series of House of Cards. Just everything crossed that this little guy doesn't come early.